There is one one topic in Northwest Florida that no one will debate: Summers here are HOT. We retreat inside to the comfort of our air conditioning systems. No one likes paying high electric bills, but they seem inevitable with day after day of unrelenting heat and humidity. Who hasn't witnessed their air conditioner struggling to keep their home at a comfortable temperature? And frankly, our winters can be pretty challenging to the typical heat pump. Energy Systems Air Conditioning and Heating provides energy-efficient solutions to keep your home or business comfortable — not to mention your power bills. Local groundbreakers in geothermal heating and cooling, Energy Systems will implement systems that will save you money in the long run and help you attain credits and discounts for energy efficiency. If geothermal units aren't an option for you, we also specialize in quality, efficient traditional heat pumps. 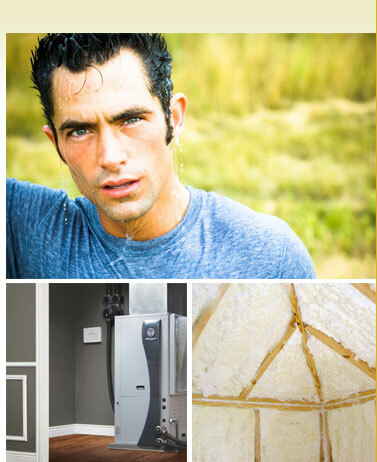 In addition to heating and cooling systems, Energy Systems specializes in insulation products. We are licensed installers of highly efficient foam insulation, which provides superior retention of internal temperatures and keeps extreme outdoor temps from creeping in. Though foam insulation has great advantages, Energy Systems can take care of a variety of insulation options and will put the same care and expertise into installation of these materials.